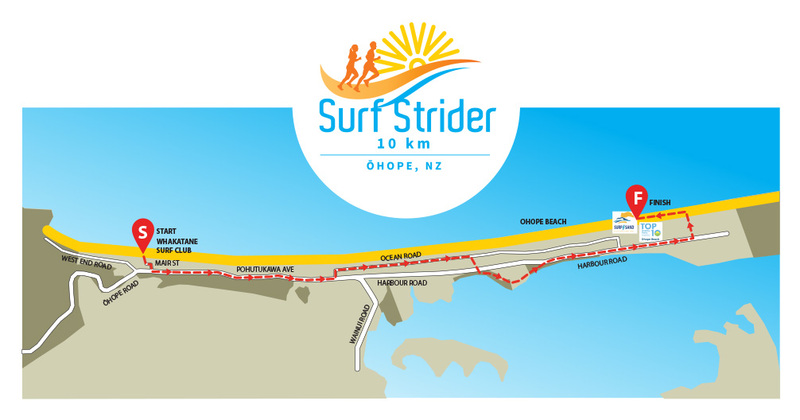 Serving up one of New Zealand’s most stunning beachside routes, the course starts outside the doors of the popular Whakatane Surf Club before heading out to Mair Street and veering left onto Pohutukawa Ave. The route then follows Ocean Road through an access way to Harbour Road before competitors hit the Ōhope Harbourside Trail to Port Ōhope Wharf. Continuing on Harbour Road into the Port Ōhope Recreation Reserve, entrants will take a left turn onto a beach access track before touching the glorious white sand of Ōhope Beach. Participants complete the final 1km on hard-packed sand to the finish line inside the premier Surf & Sand Beachfront Venue. The 10km comprises approximately 30% off road terrain and 70% on road.